68% of processed food and beverages sold in the US have added sugars. Nearly seventy percent! Sugar hasn’t made the “hot” list in nutrition circles for a while, too often overshadowed by the likes of the sexier “macros” and “super foods.” However, evidence suggests that the sugar-laden Western diet has adverse effects on cardiometabolic health (think heart disease and diabetes) as well as cancer. 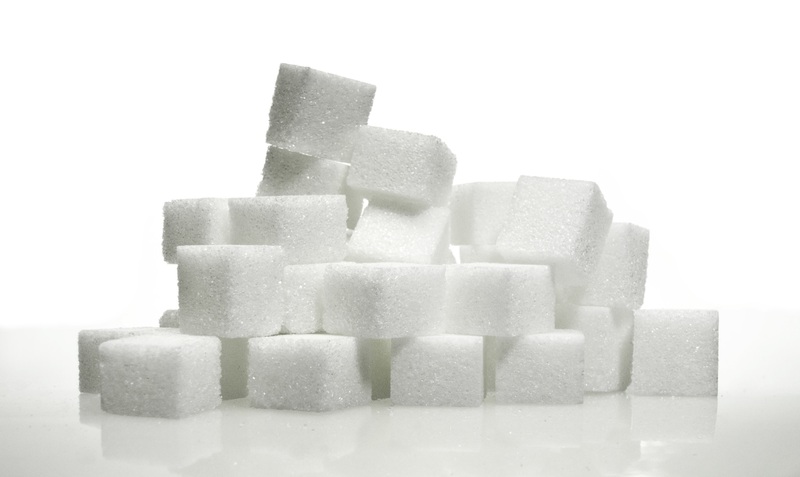 Recent research at MD Anderson Cancer Center suggests excess dietary sugar, notably in the form of fructose, increases the risk of breast cancer and subsequent metastasis to the lungs. Consumers are encouraged by health organizations, government agencies, and their health care to providers to “read the labels” before making food purchases. It’s great advice, but not always so easy to follow. As part of my recent community education presentation at the Tri-Cities Cancer Center, I covered some of the fundamentals of reading the label as it relates to added sugar. If you were there, here’s a review, if not, I hope to see you next time and here’s the low-down. So what exactly constitutes “excess sugar”? According to the World Health Organization and the American Heart Association it’s anything more than six (6) teaspoons of added sugar per day for children and women over the age of 18, nine (9) teaspoons for men 18 and older. This translates to a maximum recommended added sugar allowance of 24 grams of sugar for women and children, 36 grams for men. Most people underestimate the amount of sugar they eat or drink per day. As a reference point, a 12 oz. coke has 36 grams (9 teaspoons) of sugar in the form of high-fructose corn syrup. Added sugar is just what it sounds like: it’s added. It isn’t an integral part of the food. Added sugar doesn’t include the natural sugars found in whole fruits, vegetables, or milk, for example. The last iteration of the FDA Food Label lumped sugars together, making it difficult for consumers to distinguish naturally occurring sugars from those added. For example, a cup of plain yogurt may have 8g of sugar listed on the current label. That sugar comes from the milk used to make the yogurt and isn’t counted toward your daily added sugar tally. However, if your yogurt is flavored, it may have 16g or more of sugar, but the label didn’t make clear how much was added and how much was a natural component of the food. The additional sugar WOULD count toward your added sugar for the day. To clear up the confusion, beginning at the end of July 2018, the FDA will be updated to include an “Added Sugars” line to the label. Companies have until 2020 to comply, but you should see changes soon. Beyond the Nutrition Facts lies another bevy of potential confusion: the ingredients list. By law, manufacturers are required to post the ingredients of their products in descending order based on weight. To keep “sugar” from being the first listed ingredient on the label (because food shoppers are swift enough to recognize that’s usually not a healthy purchase) manufacturers will often use different forms of sugar so that they can be listed separately. Clever, huh? Read beyond the first couple ingredients to get a good idea of how many versions of sugar you are eating, especially while we wait to for the new labeling laws to take full effect. If no one has mentioned it to you lately, you are sweet enough as you are, no extra sugar required.